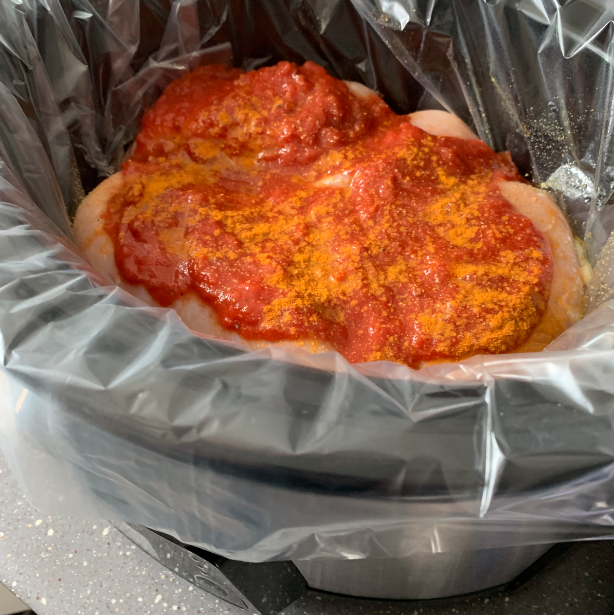 This Slow Cooker Shredded Chicken is perfect to make to use in multiple week night meals and a must for a family on the go. This chicken recipe has really helped me to get delicious healthy meals on the table for my family after long and busy days. I’m always searching for ‘no-brainers’ and this recipe is definitely one of them. You will be able to use this chicken for so many dishes. 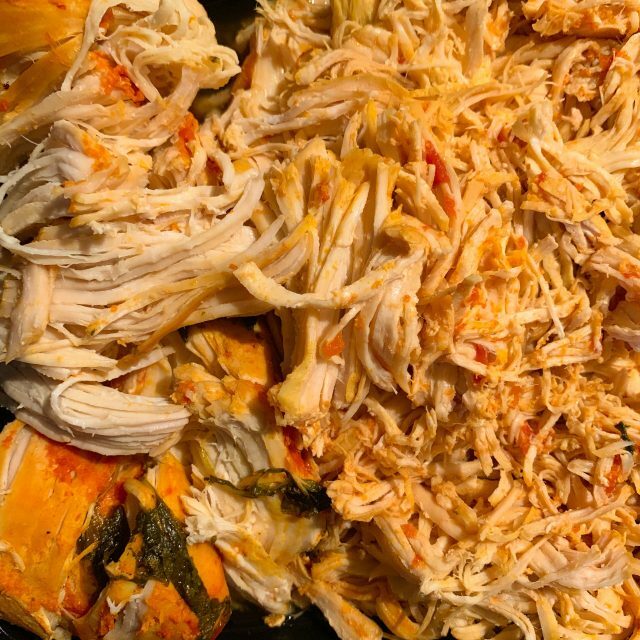 Once it’s cooked and shredded you can add whatever flavorings your recipe calls for. Use this chicken as a topping for nachos or add BBQ sauce for some quick pulled chicken sandwiches, or add on top of a salad or in omelettes for a lighter meal. This recipe is perfect for my Cheesy Chicken Enchiladas. I’m always searching for ‘no-brainers’ and this recipe is definitely one of them. You can’t go wrong with a universal food prep recipe like this. This recipe makes a double batch for your weekly food prep. Plus, knowing you can freeze portions, this recipe won’t go to waste. It’s simple everyday living that helps us slow down and enjoy the wonders of life. Hopefully with this simple recipe, you’ll have some extra time to sit and put your feet up. THIS RECIPE MAKES A DOUBLE BATCH for weekly food prep. You can freeze leftovers in the broth, or store in the fridge for another week night meal. 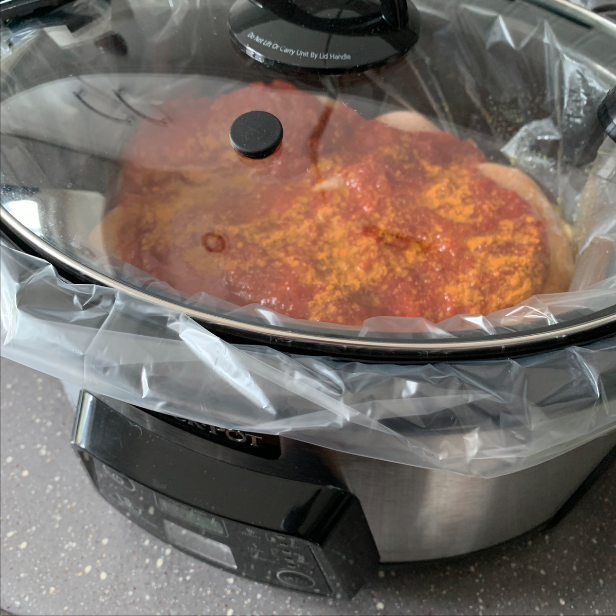 Place slow cooker bag in pot if using. Spray pot lightly with cooking spray. Place chicken in pot and top with ingredients. Set slow cooker for 6 hours on high or 8 hours on low. When it's finished cooking, carefully remove chicken with tongs and place in a flat container or platter. Shred chicken apart using a fork in each hand. 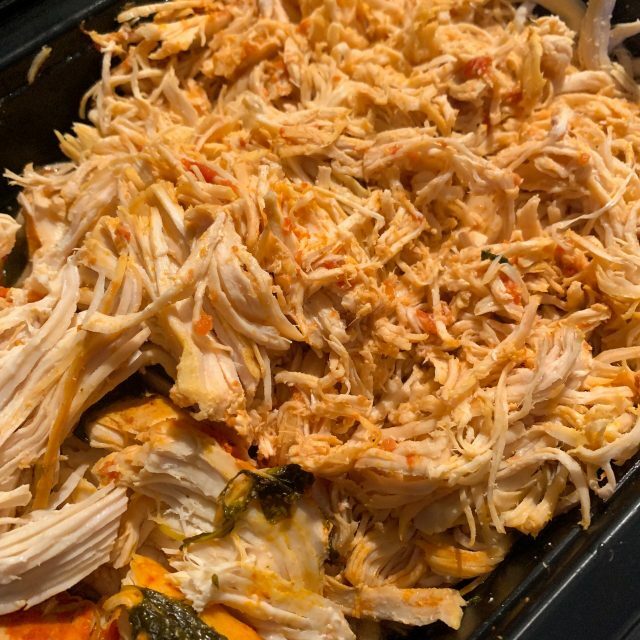 To store leftovers in the freezer, place Shredded Chicken and leftover broth in freezer safe containers. This recipe is perfect for my Cheesy Chicken Enchiladas.